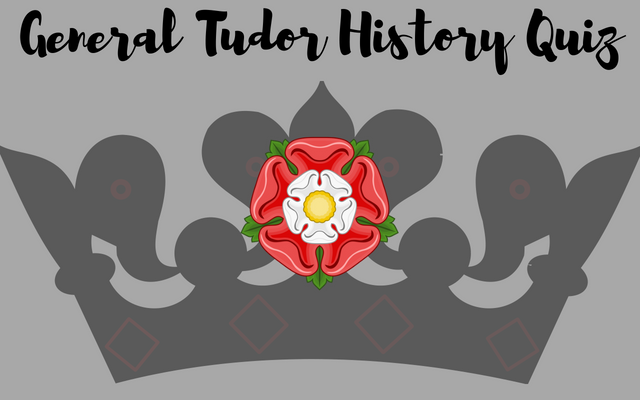 This quiz is to test your Tudor history knowledge. Some questions may be harder than others since the skill level of my followers varies. Katherine Willoughby had a dog named after which person? Katherine named her dog “Gardiner” and would give him commands that made those around her laugh. Imagine her saying, “SIT, Gardiner!” and the real Gardiner turning to look. How old was Henry Tudor (future Henry VIII) when he began his grooming to be king. Two of these men nominated Thomas Seymour three times to become a member of the Order of the Garter, who were they? Which of Henry VIII’s sisters was is buried at Westminster Abbey? Margaret was buried at the Carthusian Abbey of St. John’s, Perth, Scotland, and Mary was buried at Bury St Edmunds Abbey and then moved to St Mary’s Church in Bury St Edmunds. Jane Grey is known as the “Nine Days Queen”, how many days was she actually Queen? Jane actually ruled from Edward’s death on 6th July 1553 until Mary I took the throne on 19th July. In 1586, Queen Elizabeth sent an irate letter to Dudley because he did this without permission? This lady was Keeper of the Queen’s Jewels for Queen Katheryn Howard and was one of Princess/Lady Mary’s ladies at the time of her death in 1552. Who was she? Queen Elizabeth had gifted a dress to this dear friend and it later turned up as an altar cloth. Which lady informed Wolsey in a letter that she could not, under good conscience, allow his men to take stone from Harwich since what remains there cannot be removed. If the existing stone is removed, the cliff will wash away and destroy the town? General Tudor History Quiz, Please.